Added on March 27, 2018 by Alex Mirutziu. Times: Mon - Fri, 10:00 – 18:00. Mirutziu's practice interrogates the process of how we create meaning to interpret the world around us. 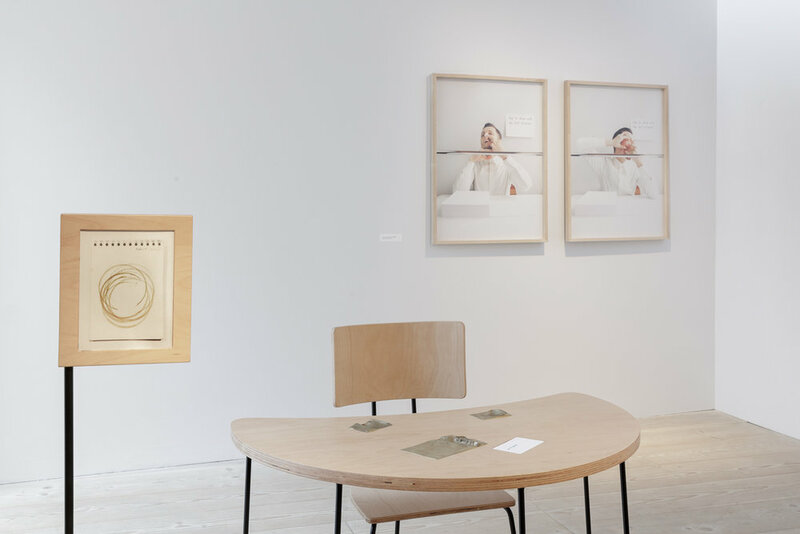 Inspired by philosophy, literature and design, he explores the inadequate use of objects, language and the body as tools of communication. For a few years, Mirutziu has been researching the work of novelist and philosopher Iris Murdoch and the different methodologies she employed to create meaning, both spoken and unspoken. 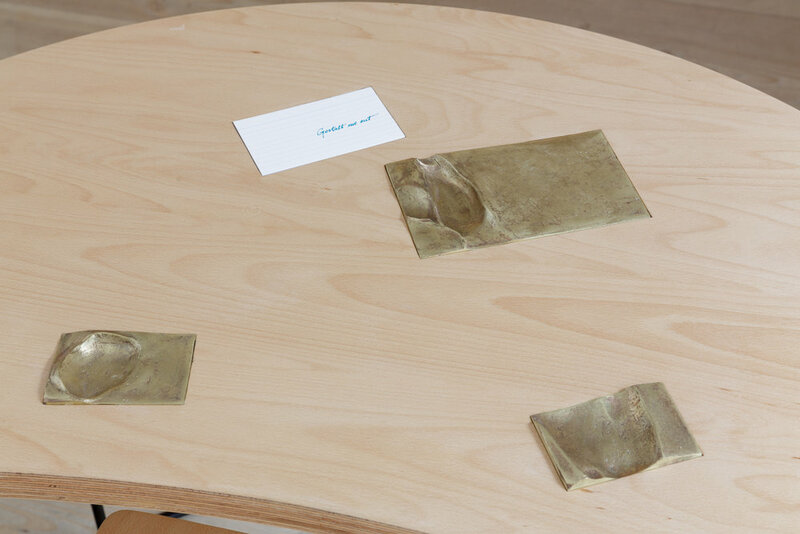 During a short residency at Delfina Foundation, Mirutziu visited Murdoch's archives at Kingston University. Instead of focusing on her most prolific writing period, he concentrated on unfinished writings from the latter stages of her career, which was marked by the onset of Alzheimer's Disease. In Between Too Soon and Too Late, Mirutziu uses Murdoch's writings as a starting point to reflect on the notion of time and space in relation to meaning. 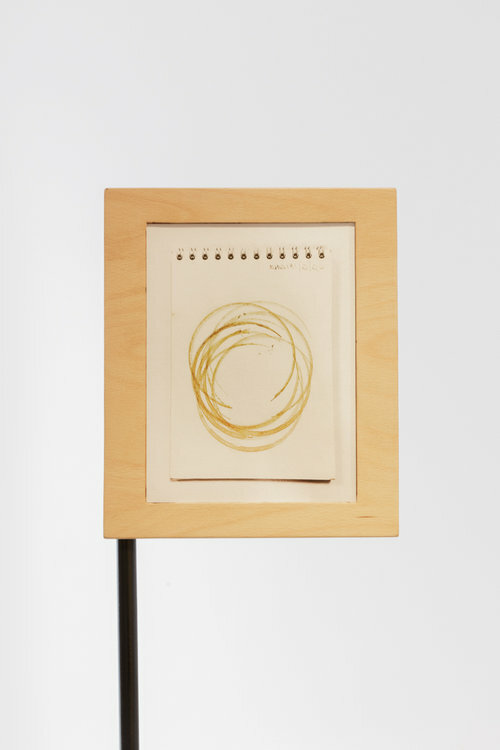 The exhibition, which includes newly commissioned and existing works, explores the 'tiny space' - as identified by Murdoch - where meaning stays tacit, where being and not being are the same. According to Murdoch, this point is in between being 'too soon' and 'too late'. 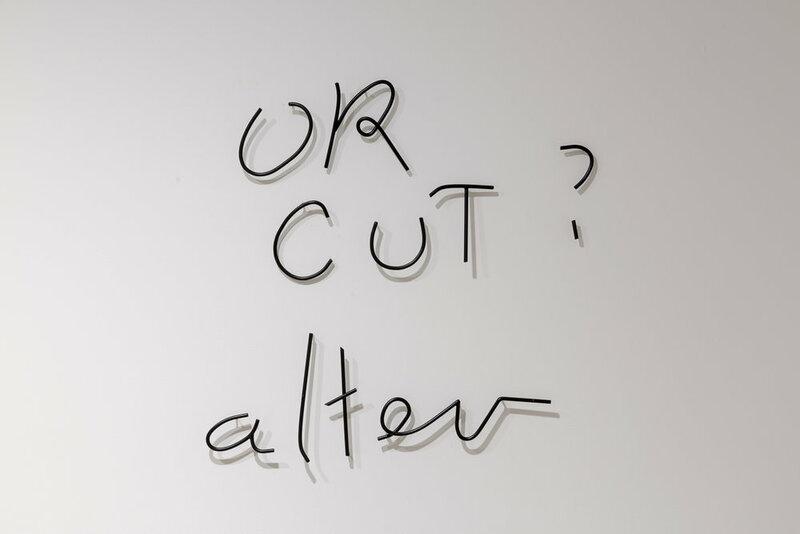 The works in the exhibition attempt to occupy this space and prolong the process of establishing meaning; they refuse to yield a sense of resolution and closure, entangling the viewer in a space that is indefinite and inconclusive. 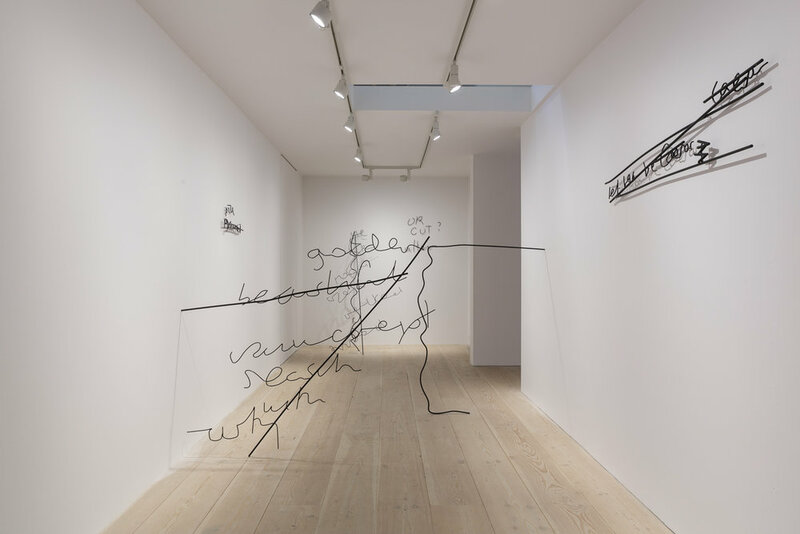 For Between Too Soon and Too Late, Mirutziu transforms corrections to writing and comments made in Murdoch's hand writing into large sculptural forms that represent where meaning is simultaneously gained and lost. This is juxtaposed with an existing video work Where is the poem? 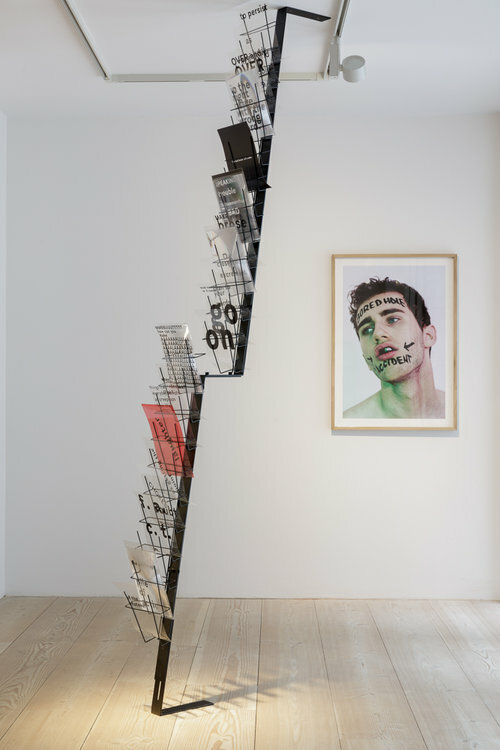 (2013), that refers to the dynamics and politics of writing and reading, and to the dialectical understanding of their relationship, from production to reception. 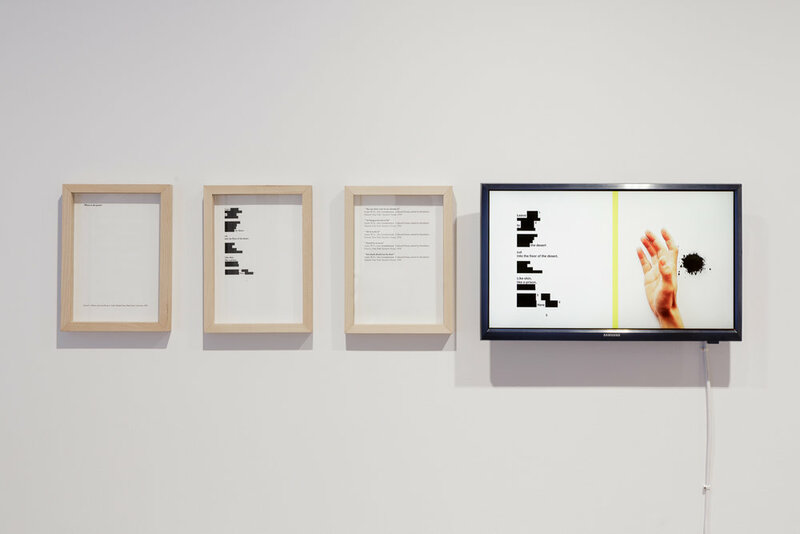 Working with Graham Foust's poem Politics, the artist's hand marks the distance created within and around the text, which Mirutziu claims is as integral as the sequence of words in terms of understanding the complexity and structure of a poem. 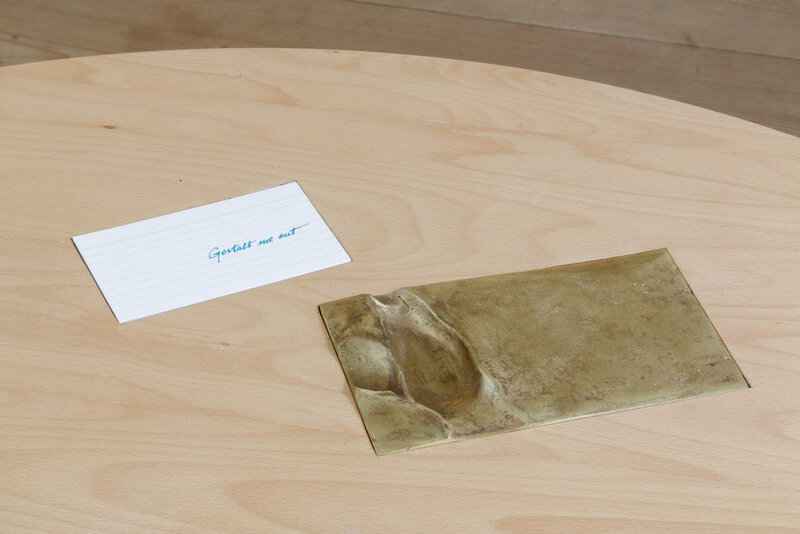 The space in between the hand and the writing surface is also fundamental in Gestalt me out (2018), a specially designed desk featuring impressions of the artist's elbow and wrist positioned alongside an image of Murdoch's tea-stained notebook. These two works attempt to give form to the construct of time as well as the conceptual space where meaning is created. 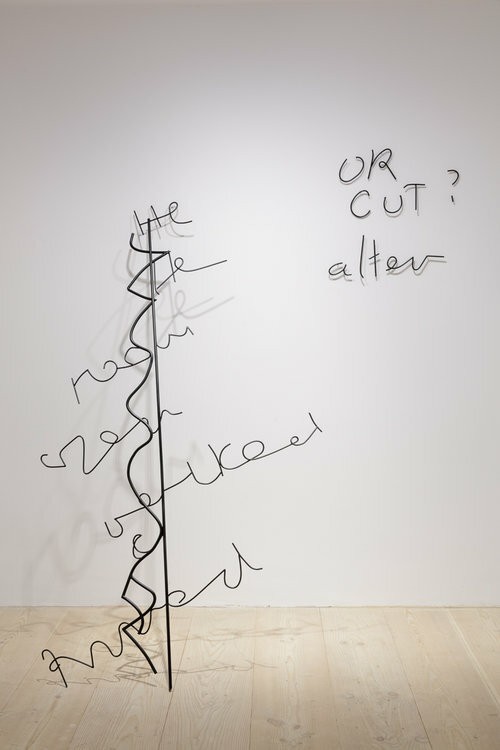 Prepared Poem #3, written by the artist in response to Murdoch, is presented in a disjointed sculptural form. 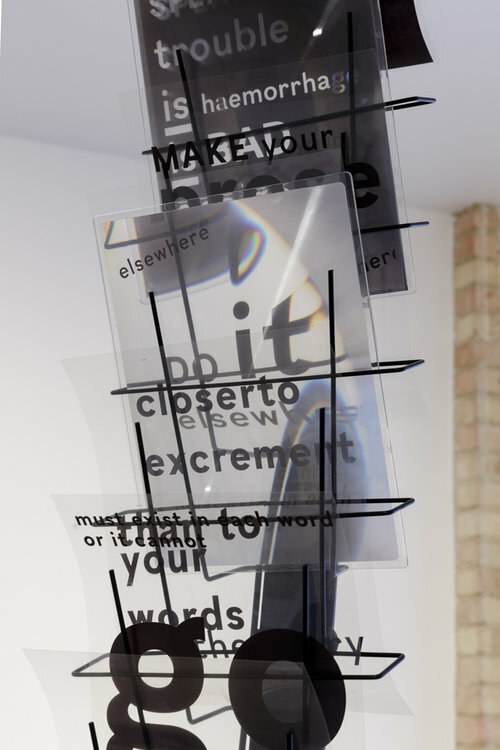 Alex Mirutziu's practice extends over a wide range of media and activities, including sculpture, drawing, poetry and performances as well as lectures and curatorial projects. 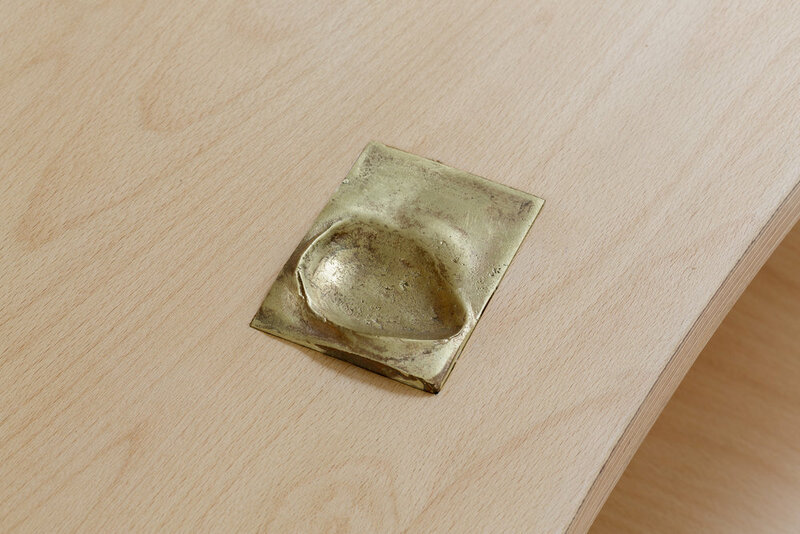 In his current work, he explores time and space in relation to 'the arrival of meaning'. 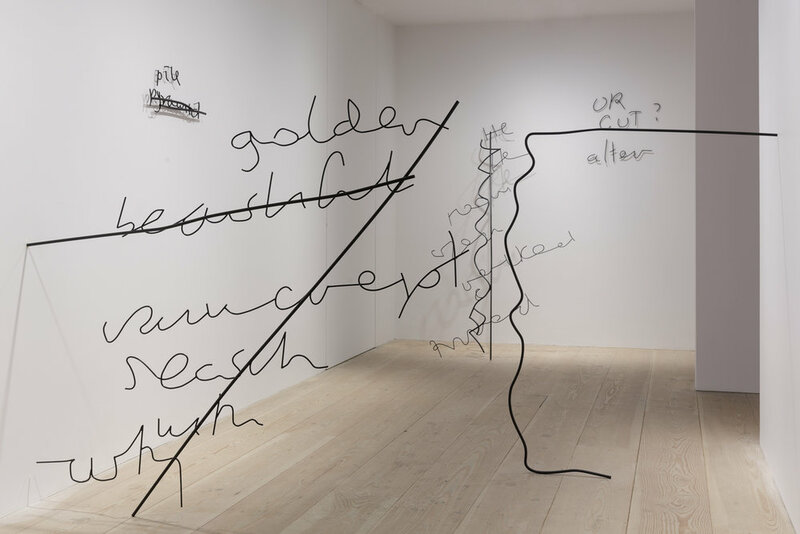 His works attempt to dislocate modes of arrival through text, words and the body by expanding the concepts of approximation and proximity, as well as challenging the notion of 'thinking' versus 'doing'. Mirutziu formed a collective - TAH 29 - which is involves collaborations with the artist himself at 29. The collective's modus operandi is retroactive irony.